Among the latest UI enhancements that we’ve introduced are improved controls for homepage-dashboard setup and editing. 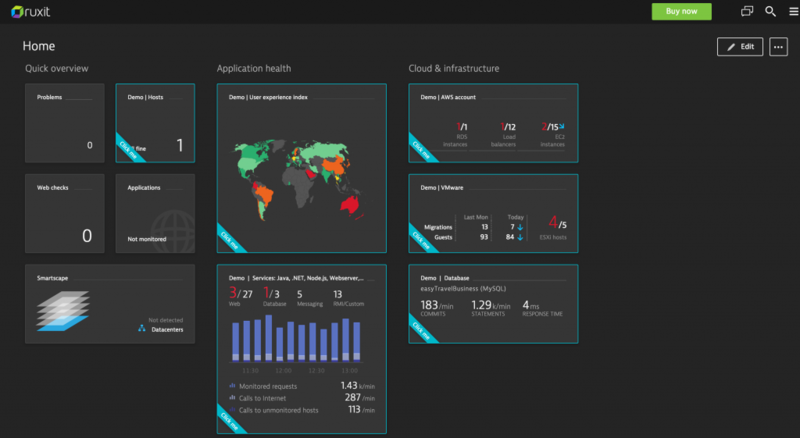 The Dynatrace homepage dashboard is a powerful feature. 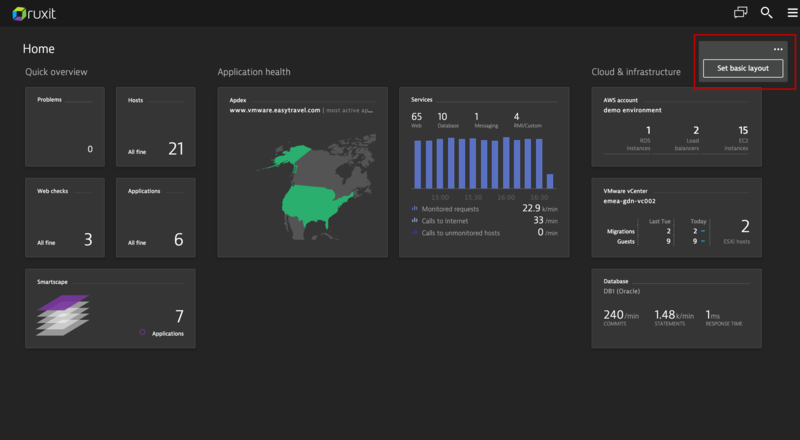 No matter if you monitor health or the business aspects of your applications, the homepage is your command center. 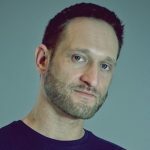 For an interesting case study into how one of our customers set up their homepage, see How app-centric dashboards save the day. While we’ll continue to make the homepage even easier and more comfortable to use, following is what we’ve achieved so far. 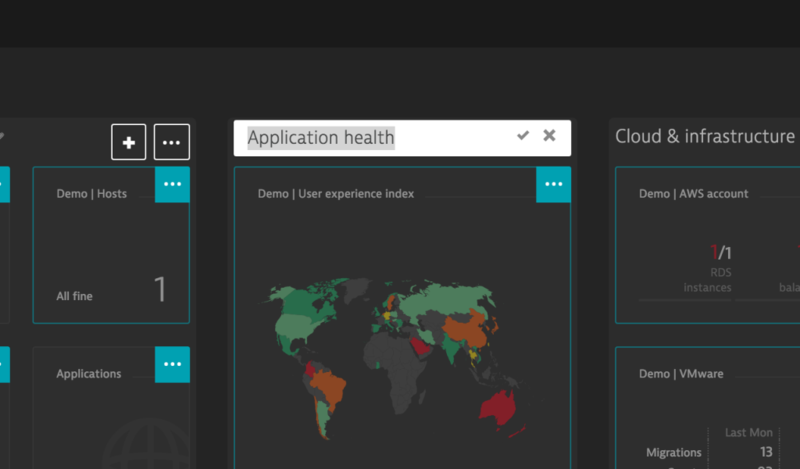 We tidied up the Dynatrace navigation bar and moved all dashboard-related buttons to a new dashboard-specific menu. All dashboard-specific actions are now available directly on the homepage, making them more consistent and intuitive. The new homepage dashboard works in two modes: Display and Edit mode. Display mode provides an elegant distraction-free means of analyzing high-level data. It’s perfect for monitoring purposes. While in Display mode you can Set basic layout to configure a simple layout that you can customize later. Edit mode provides powerful dashboard-management features. Click the Edit button to get started. While in Edit mode you can add, edit, and move tiles and sections via context-menu controls. Previously, section and tile dashboard-configuration were managed across separate views. These views have now been integrated. 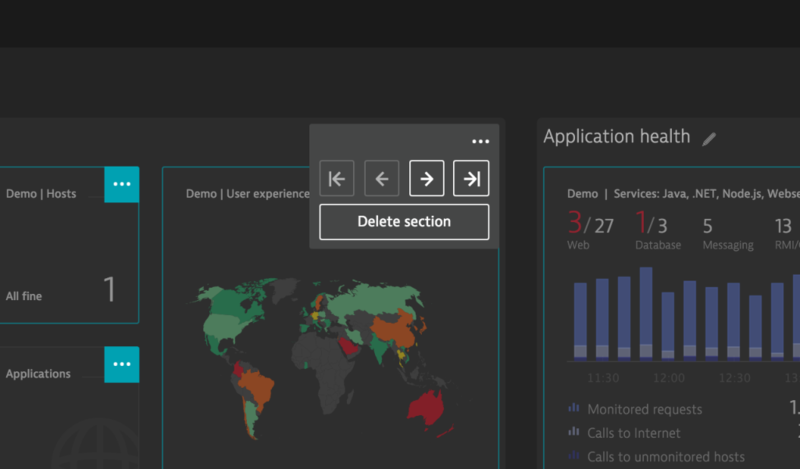 All dashboard sections provide a section header and a context menu. 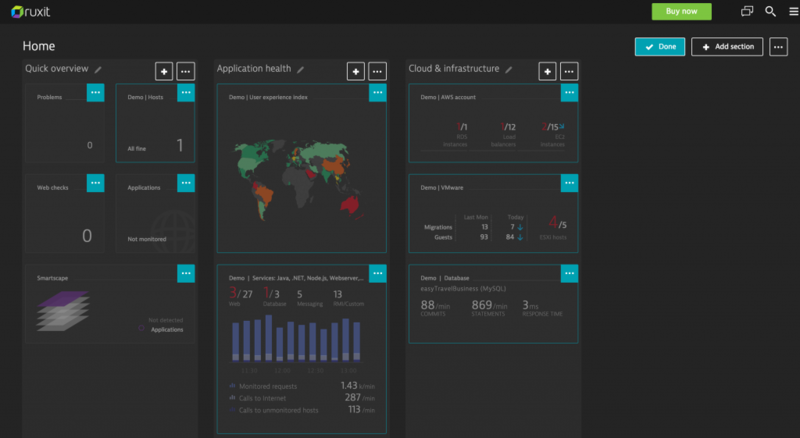 Drag and drop sections and tiles to configure your dashboard layout any way you want. It’s finally possible to add a tile to a specific section on your dashboard! Inline editing is now enabled for section names. Just click and type. 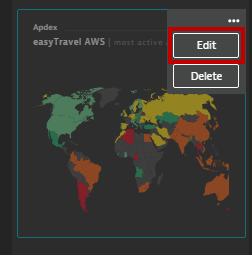 You can even reorder and delete sections via section-specific context menus. Each editable tile now provides a handy context menu. 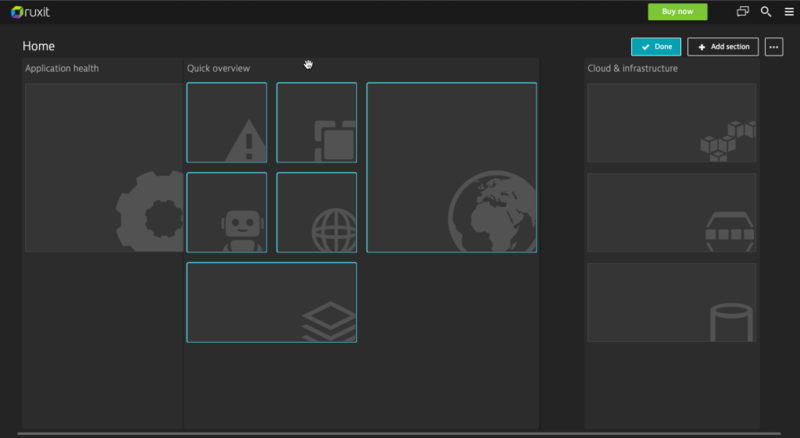 Click Edit to edit the tile directly in the Dynatrace tile catalog. We’re continuously working on UI improvements. Many more are on the way, so please stay tuned! By the way, we love your feedback! So feel free to contact us!